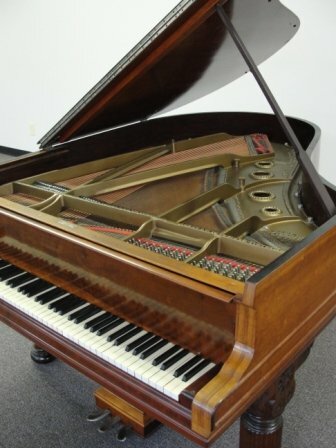 This Steinway & Sons Model A grand piano, s/n 52898, ca. 1884, is functional and offered for consignment sale in its current condition. It has a Victorian case style with matching bench. Steinway now manufactures a reproduction series of pianos from this era. The piano is 6'-0" in length with an 85 note keyboard. Some work has been done by others over the years. Could be considered a candidate for additional restoration; it would look great refinished in its original satin ebony.